It was 1:50 pm, October 31, 2013. I was doing my daily 25km cycle, before work, when my life changed forever. I’ve often been asked what it felt like, that hit, becoming paralyzed. It’s been almost six years now and, despite remaining fully conscious throughout, I still can’t fully explain it. That moment of impact was like an electrical short-circuit in my body as if someone hit a trip-switch and everything went instantly numb. There was no pain, no feeling anywhere, just a surreal calmness. I suppose you could describe it as a floating body experience, but in my case, a total lack of sensory and motor function below my chest was the outcome. Then the fun really started; multiple operations, blood transfusions, tears, painkillers, infections, laxatives, wheelchairs, a 15kg weight loss, a ten-month hospital stent and did I mention tears? The physical trauma on my body was immense; everything so difficult, the effort so huge. Certain aspects of recovery seemed excruciatingly slow while others are flung at me at warp speed. But the physical element of coping with my newly injured body was nothing in comparison to grieving for the loss of my old life. I had entered my own personal horror story; all it took was one instance to come to fruition and my somewhat normal life vanished into thin air. Learning how to function better physically, while trying to understand my new place in the world, was an emotional rollercoaster. Fast forward to the end of rehab, almost a year later and leaving the hospital was terrifying. I was no longer with my partner of three years or in our home. TRYING TO LIVE INDEPENDENTLY, AFTER ACQUIRING MY DISABILITY, I FOUND MY OPTIONS WERE LIMITED. It was either a congregated home 25km removed from civilization and a 40-minute drive from my home, or a congregated home in a town setting an hour-and-a-half drive from my home. I “chose” the second option which comprises of a room, with a bathroom, in an institutionalized building with ten other rooms. A disappointing, to say the least, premises where the Irish government segregates and groups, all forms of disabilities, ranging from intellectual and mental to physical, in a single unit and calls them adequately housed. This is known as a Cheshire Ireland home. WHERE IS THE PREPARATION FOR RESPONSIBLE LIFE IN A FREE SOCIETY OR FREE CHOICE TO INTEGRATE ADEQUATELY INTO A NEW COMMUNITY? Initially, I was placed here on a temporary basis, but roll the clocks forward to the present (six years June 2019) and I am still here with no alternative in sight. 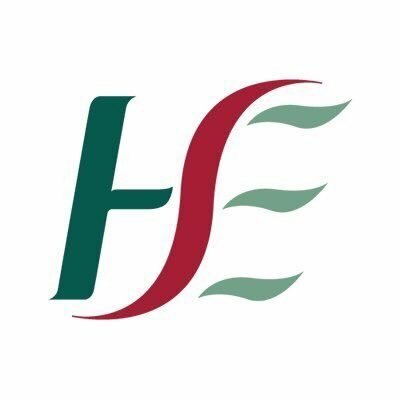 It is the role of the Physical and Sensory Service, Health Service Executive (HSE) Ireland and designated and my HSE case coordinator to identify and help negotiate appropriate service provision for me while also liaising with professionals from the HSE and other services to ensure access, coordination and delivery of, services to me. My case co-ordinator assured me he was liaising with the Local Housing Authorities, but despite his “regular contact” with such I had been taken off the housing list for several months and deemed adequately housed without his knowledge. Hard to believe the same case coordinator, Physical and Sensory Department Sligo, HSE also organized a fourth-floor apartment viewing, of the same apartment, not once but twice on foot of my occupational therapist’s report clearly stating that a ground floor property was required. I made a formal complaint about him which was later escalated to the Ombudsman. After a year and two months I received a reply from the HSE about the complaint; not without putting constant pressure on them for a retort. In the HSE response, they stated that “there are limitations to what an individual or a public sector organization can achieve. There are external and internal measures and restrictions which are outside the individual and sometimes organizational control including individual caseloads, limited financial and human resources, limited housing stock, unsuitable accommodation resulting from fire hazards, unsuitable housing due to health and safety issues and personal expectations”. “Could be debated over and over again” according to the HSE was the response to my complaint; which is convenient considering they have the final say in the matter. ” There is always room to improve the way we work and the Physical and Sensory Service, HSE Sligo, need to continually review and evaluate how they work in supporting clients and look for new ways to improve the collaborative work with other government and non-government agencies. Nevertheless, room for improvement in how we work does not equate to being unsupportive and unhelpful, I think it simply means that efforts to date have been unsuccessful and everyone must keep focused and continue to be committed to supporting your move into the community”. It took that long to be nothing more than “commended” for my “relentless drive to live a more independent life” and an “apology for the distress and worry placed upon” by the HSE. A recommendation that they nominate another representative to liaise and support myself in my continued efforts to move from my current institutionalized housing setting. Despite the HSE setting out this agreed national policy eight years ago for people with disabilities to be supported “to live ordinary lives in ordinary places”, a shortage of accessible housing is the reality. This is incredibly disheartening. To fight for something that so many of us take for granted, despite seeking help from councilors, TD’s, the national advocacy service, the HSE confidential recipient, independent living agencies, and making a formal complaint through the outlined HSE process, The myriad initiatives designed to lift people out of isolation and segregation are failing the people of Ireland and not allowing them free choice to integrate adequately into their communities. 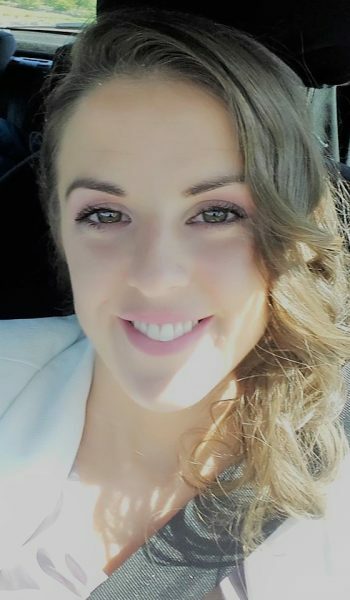 Physically and mentally exhausted from the entire process and wishing to move forward with my life, I have had no choice but to close my application for housing with the HSE in the town I relocated to since my injury and re-apply in a different county. The final straw was following is months of harassment, by another service user in the same building, who is suffering from addiction issues. On more than one occasion he has let himself into my home uninvited and frequently badgers me for money. I unlock my door at night in case I have a fall while getting into bed independently and need assistance; the joys of being paralyzed from above my chest. Once in the bed, safely, he burst into my room drunk and high looking for money. I just started screaming at him to get out and eventually he left. Another situation occurred when my family was visiting including my six-year-old nephew and three-year-old niece and he followed us to the day room and would not stop asking for money to a point the children grew scared. At that point, I gave him 5€ to leave us alone and we returned to my room. Inclusion is a process that involves all individuals, not just a number of “special” few growing up in an environment where diversity is the norm rather than the exception; in the spirit of understanding and tolerance. It is when they fail to provide for and accommodate this diversity that difficulties arise; leading to marginalization and exclusion. Micheál Martin, part of the Irish Government, has stated that adult disability services are in crisis, that there was no appreciation in Government of this crisis, and that there was “terrible inertia” at play. Obviously, given the legislative and HSE head scratching which has gone on, people such as myself are the ones who ultimately suffer the inaction. But I don’t think you have to be a rocket scientist to see the dangers of grouping people just because they have a disability in assisted living environments. How this government gives support to people dealing with life changing injuries is something which is still very much a work in progress. I believe, for me “suitable accommodation” is a move towards an improvement in quality of life, a move towards increased options and choices, it is about personal independence and inclusion in the community, and ultimately, I would suggest that it is about the values of equality and the right to direct one’s own life course. 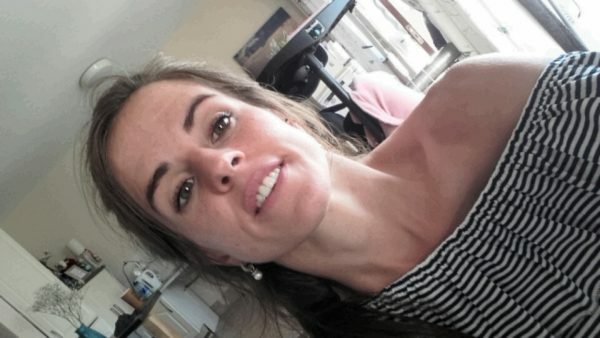 Geraldine Lavelle is a writer and blogger at Spinal Cord Injury Blog where she writes about living with her acquired disability (http://spinalcordinjury.ie). Geraldine sustained a C6 spinal cord injury in 2013 following a cycling accident. 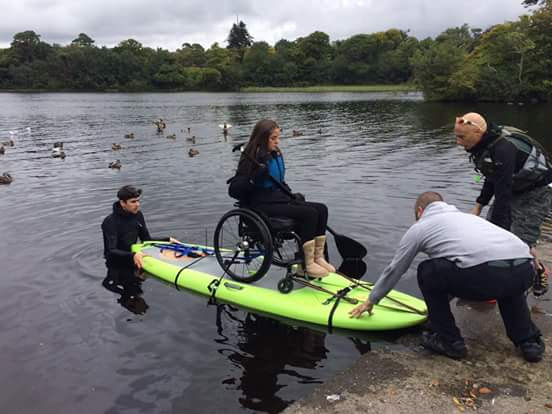 She lives in Sligo and is a strong advocate for people with disabilities in Ireland. Her site offers friendly advice and support to newly injured spinal cord people and their families. From issues of exercise, transferring, equipment, clothes etc and showing new ways of relearning day to day tasks whilst living with a disability. 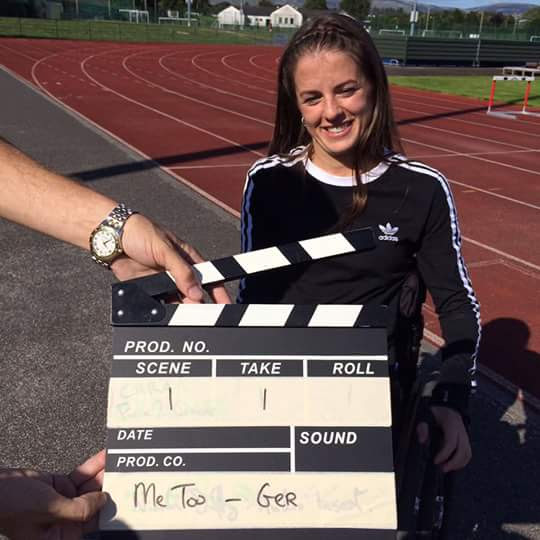 She is focusing putting together peoples articles / short videos/ pictures and the wider community) about the importance of physical activity for overall promotion of positive health and wellbeing and creatng a platform where people can share their ideas and experiences’. She would be interested in articles regarding others expierience re same. -Brief Introduction about you and your disability. Tell me about your experience of being physically active · What activities/sport/exercise do you do? · How did you get active? ? Q3 Tell me if you encountered any challenges in participating in sport or physical activity? Q4 If you wanted to be more/begin to be active, what would help you? · What would make participating in sport/physical activity easier for you? · What more must be done to ensure constant progress towards everybody being active?